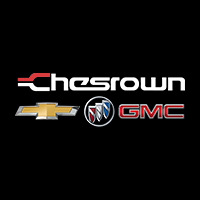 We bought our Chevy Impala at Chesrown. So, we get free oil changes as long as we own the car. That is a great benefit of buying at Chesrown! As always, I made an appointment for the oil change. The check-in was quick and easy. There's a comfortable waiting area - with a tv, plenty of seating, free Wi-fi, free popcorn, free water or coffee, fresh fruit. The restrooms are very clean.The only issue I had was that I believe the driver's seat was adjusted to a different position than what I always have it set. I'm particular on where that seat is positioned. It took me a while to get it back to where I'm comfortable driving with it. Maybe -- inform your employees not to move the seats. experience was great. low pressure from salesman and finance guy. We had a bad experience in the fast with finance pushing all of the extras and then when we said no the guy was rude. Your finance guy clearly explained the options but was totally fine when we passed. Tony Garver has been a long time family friend. I contacted him on Thursday with what I was looking for and I was driving away with my new Acura RDX Friday afternoon! Tony made the buying process a breeze and I was out the door in under two hours with my new car! Tony Garver was on the phone when I walked in... I asked if he was busy, he said yes, but I can help two people at the same time. He did. He was attentive and communicated well. Wrapped up the whole process in an hour an a half! Thanks for the great experience and taking care of my family!